An old favourite of Alfisti everywhere is being reinvented in Turin: the new Alfa Romeo 8C will return early next decade as a hybridised super-sports car - and CAR magazine has the full lowdown. The August 2018 issue out now is an Alfa Romeo special bursting with details on what to expect from Italy’s most exciting mainstream marque. Our artist’s impressions depict what you can expect of the new coupe and spider twins. The Fiat group is still reeling from the death of CEO Sergio Marchionne in July 2018, but one of his parting gifts was the June summit outlining the future product strategy for all of Fiat Chrysler Automobile’s brands. In it, he confirmed that the 8C name was being dusted down and brought back to life. CAR magazine has dug deep in its network of sources and suppliers to deliver the lowdown on the new 8C, which is expected on sale as early as 2021. The last 8C (above) was in production from 2007-2010, when 500 coupes and 500 roadsters were manufactured. Both bodystyles are being contemplated again, but this time it’ll be a mid-engined layout, rather than front-engined. All the better for ultimate handling thrills - and some pretty spectacular styling. Based around a carbonfibre monocoque, Alfa Romeo is planning to use the familiar 2.9-litre twin-turbo V6 from the Giulia Quadrifoglio, but mated here to an electric powertrain. 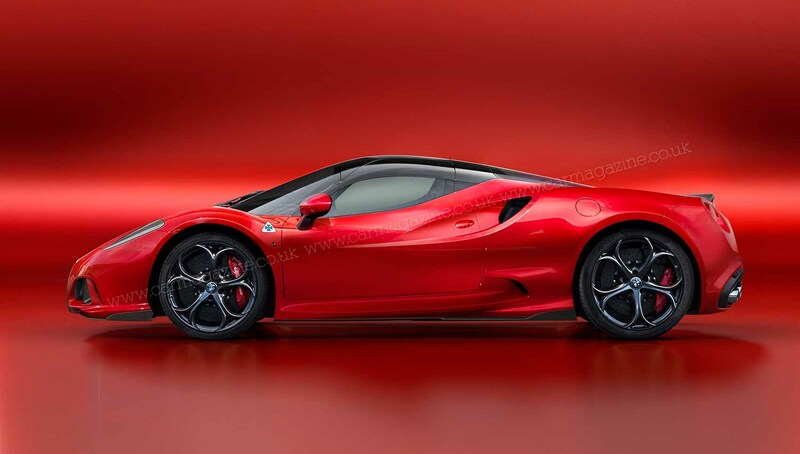 This fizzy engine was developed with Ferrari and is good for an easy 500bhp in its saloon and SUV iterations; word is the new 2021 Alfa Romeo 8C could see that output spiral to nearer 600bhp with extra boost and a raft of internal modifications. The scoop in CAR magazine details how it will be supplemented by the 150kW front axle shared with the forthcoming Maserati Alfieri. Yes that means a combined total of some 800bhp; the new 8C will be quite a weapon. 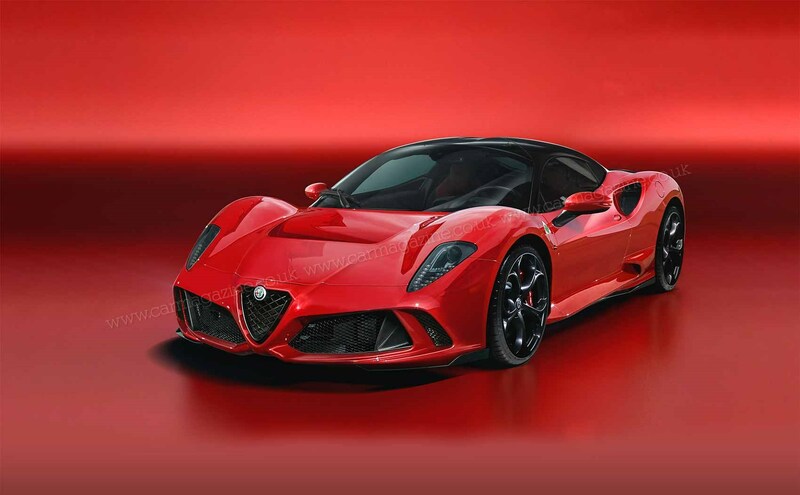 No official word yet, but those familiar with the project have told CAR that the new Alfa Romeo 8C will be targeting to break the three second barrier in the 0-62mph sprint. E-boost has that effect. Electrification also brings all-wheel drive and that means a host of chassis tuning possibilities, including torque vectoring, strong traction and more. That’ll add a heap of technical complication, but Alfa Romeo has quietly established a pool of expertise in lightweight technologies through cars like the composite 4C and Giulia ranges. 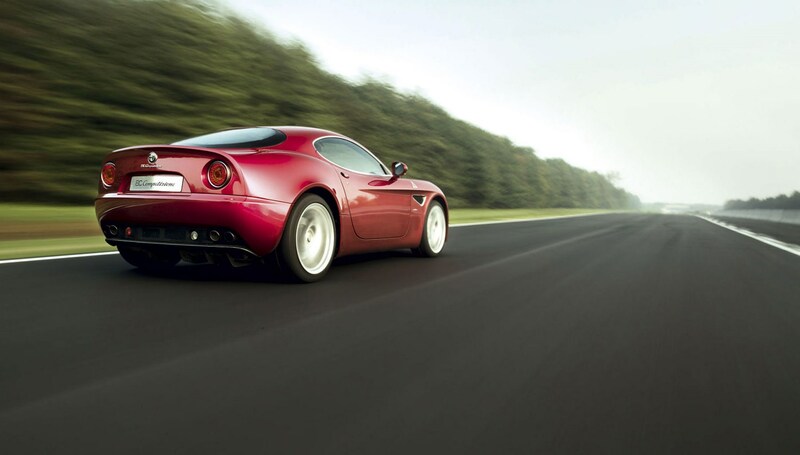 It’s very early days to be estimating prices but we hear that the new Alfa 8C will be a limited production run - meaning that prices won’t be cheap. Which is stating the bleeding obvious. Expect no more than around 1000 models to be manufactured. Bank on around £250,000 at today’s prices, making this a very top-end prospect indeed. Stay tuned in the months ahead as we uncover more news and info on the new 2021 Alfa Romeo 8C.